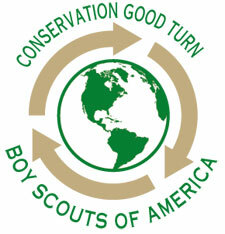 One of the basic principles in scouting is to be good stewards of the land. The Narragansett Boy Scout Council, which covers parts of Rhode Island and Southeast Massachusetts, has lived up to this doctrine. 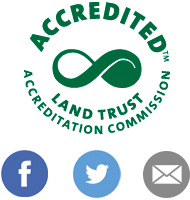 This past year the Council has worked diligently with several land trusts to place some of their surplus properties into conservation. These partnerships have benefited both the environment and the communities where they occurred. One project happened here in Wareham on a section of Stoney Run. 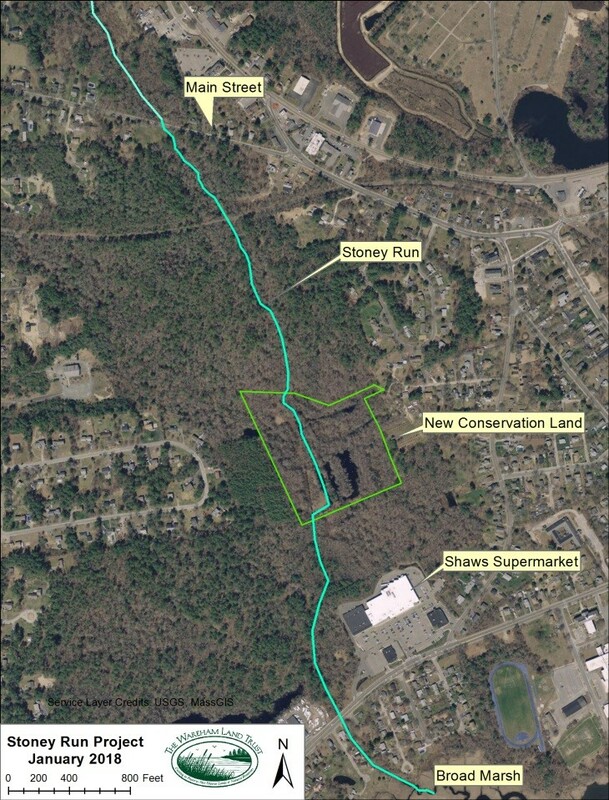 Stoney Run is an ecologically important stream that starts near the Wareham Crossing Mall, crosses under Main Street, and feeds into the tidal Broad Marsh River, a tributary to the Wareham River Estuary. This beautiful moss-covered small stream supports corridors for fish and wildlife species including the catadromous American eel, a “Species of Greatest Conservation Need” as identified in the 2015 Massachusetts State Wildlife Action Plan. Protecting riparian habitat along small streams such as Stoney Run provides substantial conservation benefits to both the wildlife and aquatic resources by increasing habitat connectivity. Also, maintaining riparian buffers along stream corridors helps improve water quality by reducing runoff and improving downstream estuary fisheries and shellfish habitat. The thirteen acres that the Narragansett Council donated to the Wareham Land Trust is adjacent to Town conservation land and will be part of a larger project for conservation in the area. The Wareham Land Trust is working towards three more projects along Stoney Run to protect this important stream and provide natural spaces for the Town’s residents to enjoy. We would also like to thank the ADMakepeace Neighborhood Fund for a grant which covered much of the cost associated with completing this transfer. Their financial assistance is greatly appreciated.